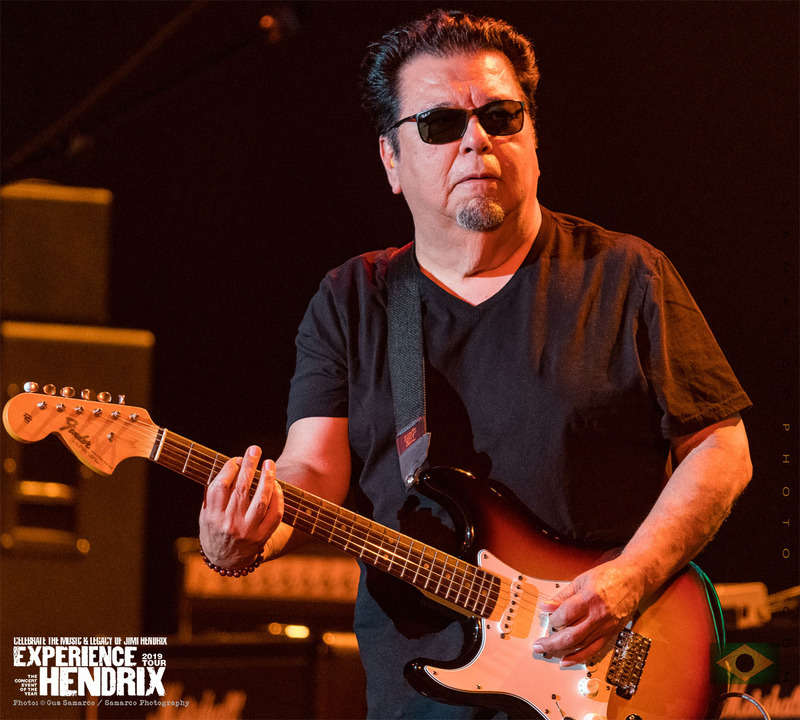 Cesar Rosas of Los Lobos is making his return engagement on select dates of the 2019 Experience Hendrix Tour. 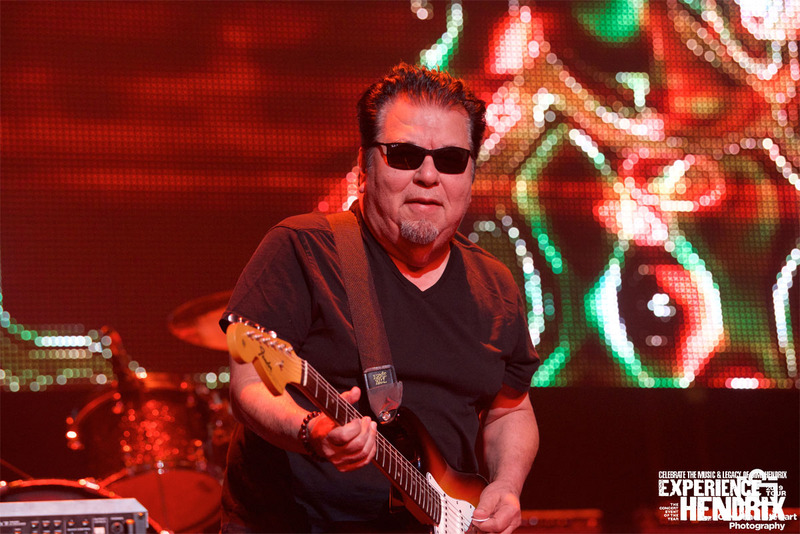 More than three decades have passed since Los Lobos released their debut album, Just Another Band from East L.A. 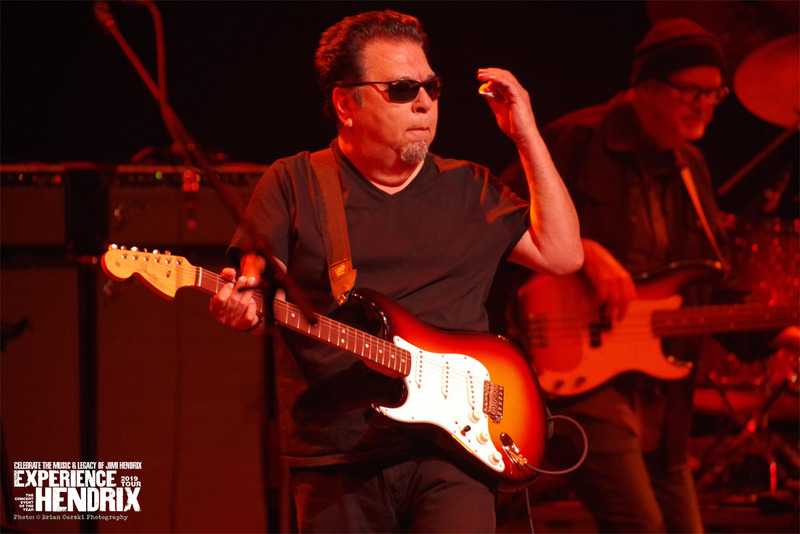 Since then they've repeatedly disproven that title—Los Lobos isn't "just another" anything, but rather a band that has consistently evolved artistically while never losing sight of their humble roots. 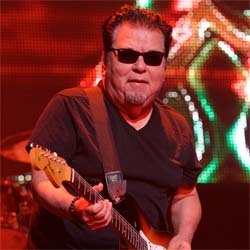 Although the album's name and title song were inspired by a National Geographic article about real life wolves in the wild, the band—David Hidalgo, Louie Perez, Cesar Rosas, Conrad Lozano and Steve Berlin—saw parallels with their struggle to gain mainstream rock success while maintaining their Mexican roots. 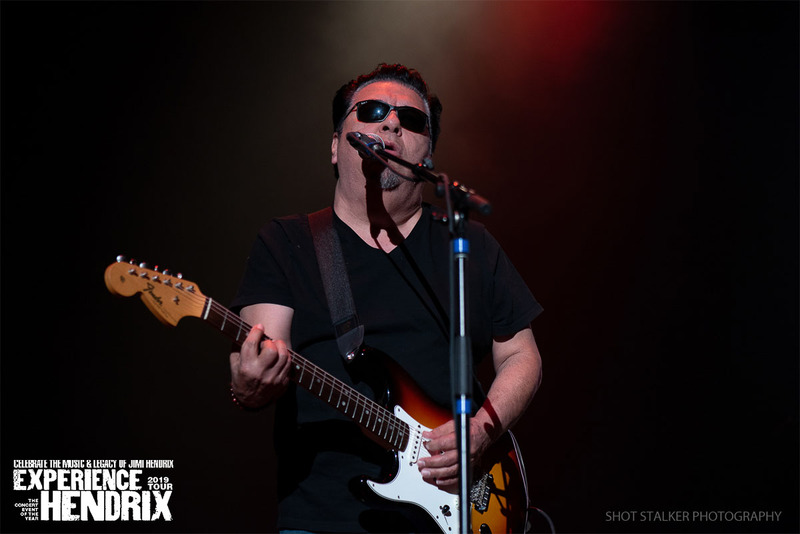 Perez, the band's drummer, once called their powerhouse mix of rock, Tex-Mex, country, folk, R&B, blues and traditional Spanish and Mexican music "the soundtrack of the barrio." 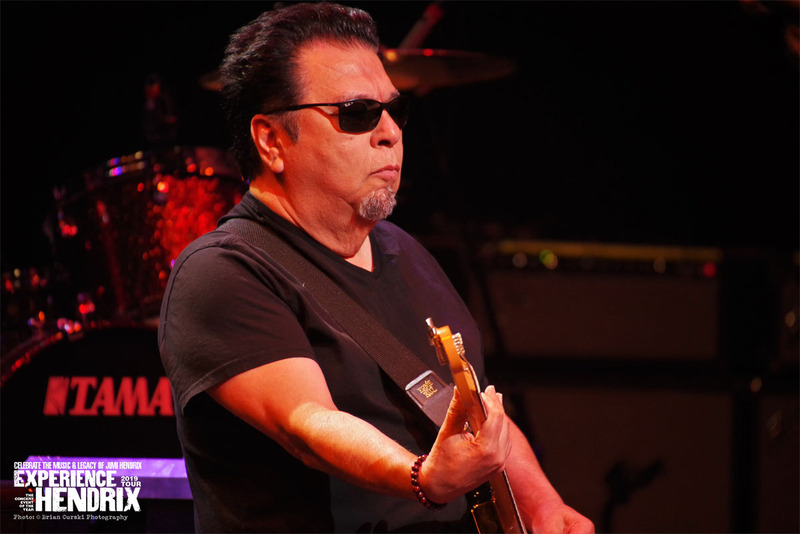 Three decades, two more Grammys, a worldwide smash single ("La Bamba") and thousands of rollicking performances across the globe later, Los Lobos is surviving quite well — and still jamming with the same raw intensity as they had when they began in that garage in 1973. 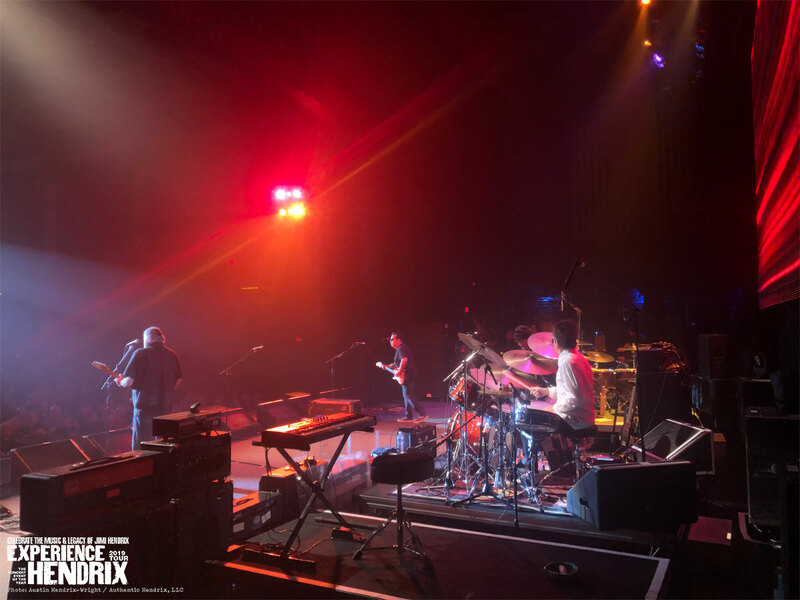 The band chronicles a key moment of their expansive journey on Disconnected In New York City, a dynamic live album that marks the band's 40th anniversary and launches their new association with 429 Records. 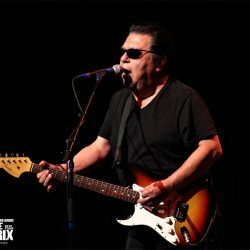 Recorded over two nights in December 2012 at The City Winery in NYC, the engaging 12-song set celebrates Los Lobos' great legacy as a freewheeling and unpredictable live band, which most recently includes touring in Europe with Neil Young and Crazy Horse in June 2013. Disconnected in New York City features fresh interpretations of songs from throughout their three decade recording career, including their first ever live recording of "La Bamba," their worldwide pop crossover hit from the 1987 film which reached #1 on the U.S. and UK singles chart and whose video won a 1988 MTV Music Video Award. The collection covers the band's 25 year studio discography, from "Gotta Let You Know" (a bouncy zydeco rocker driven by Hidalgo's accordion from How Will The Wolf Survive?) 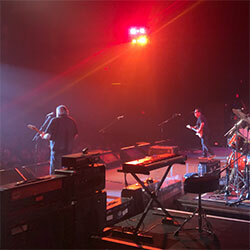 through "Tin Can Trust," a bluesy rock ballad that was the title cut from their last studio release in 2010. 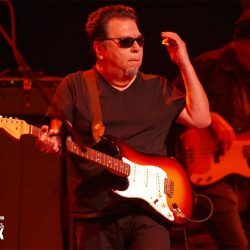 By design, Disconnected in New York City has songs that have been longtime staples of Los Lobos' tours mixed with other gems that had somehow fallen by the wayside over the years. The mix includes the mid-tempo shuffling rocker title track from The Neighborhood (1990); the easy flowing and whimsical (thanks to Berlin's jazzy sax solo) "Oh Yeah" (from This Time, 1999); the spirited, traditional flavored, Rosas penned Spanish language "Chuco's Cumbia" (from The Town and the City, 2006); the graceful and spiritual "Tears of God" (from By The Light of the Moon, 1987); "La Venganza de Los Pelados," a fiery burst of Latin rock fusion with mariachi textures (from The Ride, 2004); the soulful, simmering blues of "Little Things" (from The Town and The City, 2006); the Latin blues funk classic "Set Me Free Rosa Lee" (from By The Light of the Moon); and two mid tempo funk pop/rock tunes from 2002's Good Morning Aztlan, "Maria Christina" and "Malaque." 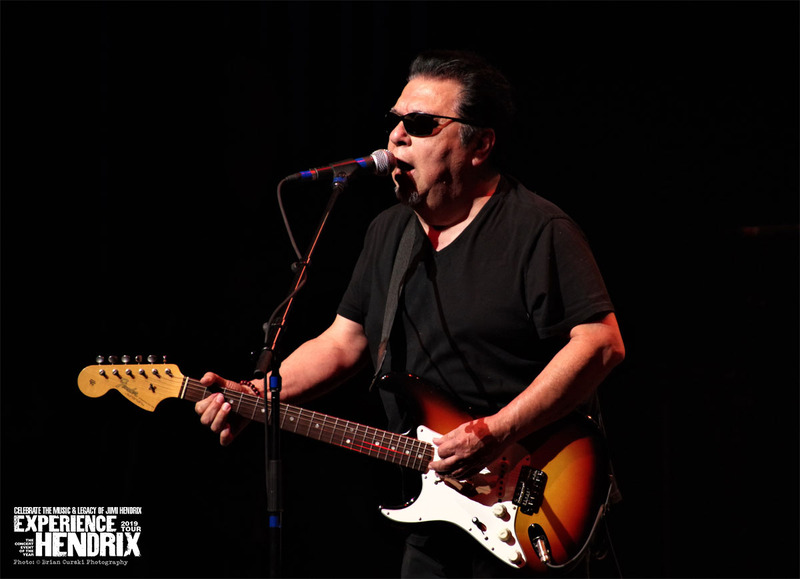 As per the literal meaning of its title, Disconnected In New York City sets itself apart from Los Lobos' other acclaimed live recordings (most notably, 2005's Live At the Fillmore) by stripping down the instrumentation for a mostly acoustic affair. Lozano, who drives the grooves with his bass and also plays the deep-bodied Mexican 6-string acoustic bass called the guitarron, says, "It's funny because when the venue hired us, they specifically requested that we do something acoustic to fit its smaller dinner house vibe. The idea popped into our heads to ask them if we could record it and they were cool with that. "We're well known for our electric, high energy performances but we've done acoustic stuff for certain smaller auditorium tours," he says. "Playing these songs acoustically makes them feel more intimate. We notice that when you play softer and quieter, the audience tends to pay attention to everything we're doing. 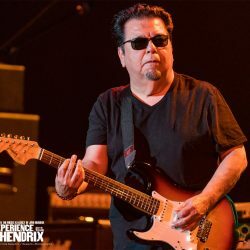 When you play rock, they're thinking more about rhythm than melodies and lyrics, but playing them this way allows for more subtle elements of the songs to stand out." 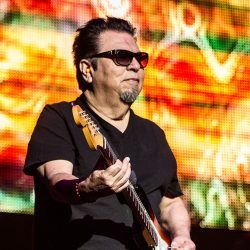 Perez laughs when he calls the Los Lobos Unplugged experience "folk music for the hearing impaired - it's still loud because the acoustic instruments are amplified! The idea of making a record like this came from never having the opportunity to work some of our favorite songs from over the years into our usual sets. Because most tours are done in support of new albums, the fresh material we play means that some favorite older tunes fall away over time. When we thought about making another live album and what would make it different, the logical concept was to revisit songs we haven't played in a while but had been requested by a lot of fans. We had already documented our rock show with Fillmore, so we felt kind of liberated to take another approach with this one. "There are two challenges releasing a live album, though," Perez continues. "One is choosing certain songs over other ones. It's like having kids. We love Tommy as much as Johnny but one day Johnny gets to go the park today and Johnny stays home. In spite of this, we do cover a lot of ground. The biggest problem is the way people sometimes perceive live albums, like they're an afterthought put out to fill some kind of gap. Bands love doing them but fans don't always pay attention. But historically, it can be a license for great creativity. 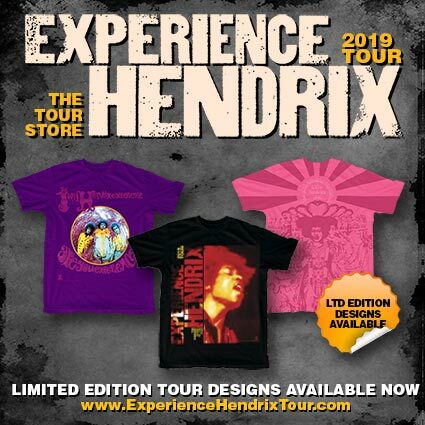 Jimi Hendrix did Band of Gypsies to fulfill his last recording commitment, but it was one of the most incredible recordings he ever made. Because Disconnected in New York City marks a key anniversary and the start of us working with a new label, we put a lot of thought into the project, from its design and structure and how we performed the songs." 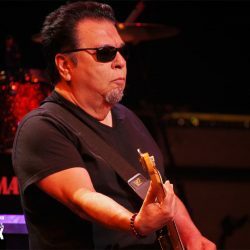 Steve Berlin is Los Lobos' saxophonist, flutist and harmonica player who met the band while still with seminal L.A. rockers The Blasters. He joined the group after performing on and co-producing (with T-Bone Burnett) their breakthrough 1983 EP &ellipsis;And A Time To Dance. Though he wasn't jamming with the others way back in the "Krypton days" (as Perez calls it) in the barrio garage, Berlin felt it was important to find a special way to mark his cohorts' 40th year—just as they had done on their 30th by inviting special guests (Dave Alvin, Bobby Womack, Elvis Costello, Mavis Staples) to be part of their 2004 date The Ride. "Trying to figure out a way to acknowledge 40 years as a band is harder than you might think," he says. "We got to play with all of our heroes on our 30th so what was something we had not done? So, like Louie said, we thought the best thing was to bring back songs we rarely if ever play and put them into a fresh context. We wanted to create something of value for our fans that would reflect the mutual appreciation we share with them—starting, of course, with 'La Bamba,' which we had never documented live before. I think it was important also that once we knew the set lists for the shows that we would eventually choose the final tracking from, we didn't over-think the arrangements. We only rehearsed these shows for a single day. The coolest part of how Disconnected worked out is that we hadn't been doing some of these songs long enough to worry about how to pull them off. And because we performed them acoustically, we couldn't just blast everyone with power and skate through them. We had to be present and make the choices that occurred to us in each moment." 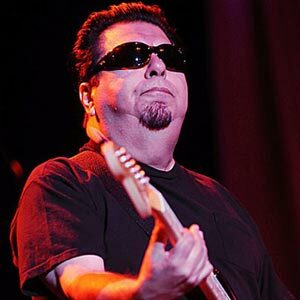 Around the time of their last big anniversary Rolling Stone magazine summed up that distinctive, diverse and spontaneous Los Lobos aesthetic perfectly: "This is what happens when five guys create a magical sound, then stick together for 30 years to see how far it can take them." Most fans know that the group came together from three separate units. 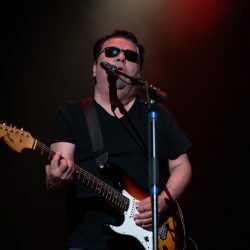 Hidalgo, the band's lead vocalist/guitarist (whose arsenal includes accordion, percussion, bass, keyboards, melodic, drums, violin and banjo) met Perez at Garfield High in East LA and started a garage band. 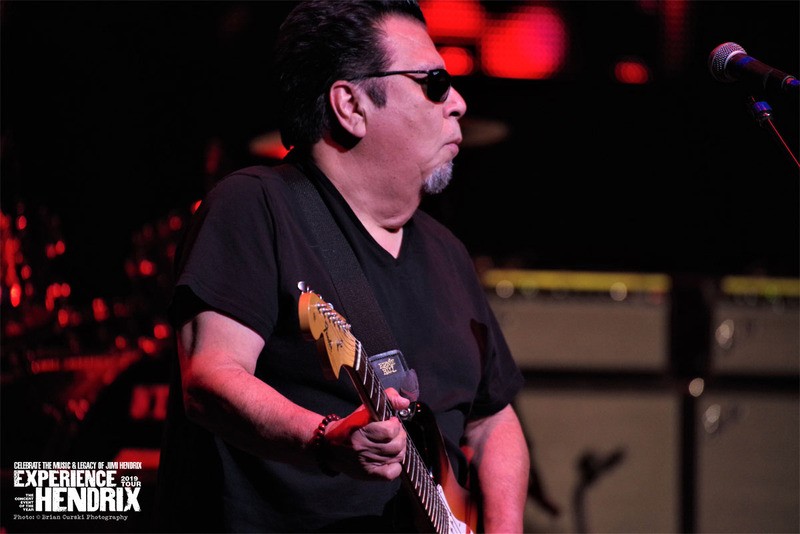 Rosas, who plays guitar and mandolin, had his own group, and Lozano launched a power trio. "But we all hung out because we were friends and making music was just the natural progression of things," says Perez. "Like if you hang around a barbershop long enough, you're going to get a haircut." 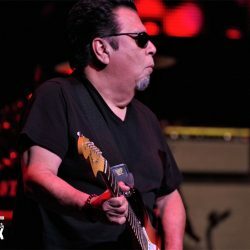 Looking back at the historical and cultural sweep of the band, Lozano sees the release of Disconnected In New York City as Los Lobos coming full circle. "A lot of people forget that though we were rock musicians when we got out of high school, the band started off as an acoustic outfit," he says. 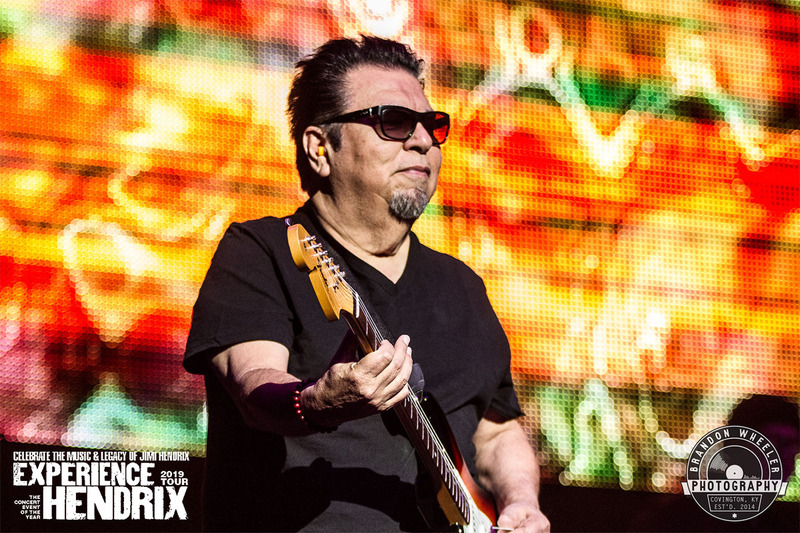 "We wanted to play Mexican folk music because those were our roots and there was this whole Chicano awareness thing happening back in the early 70s. We started to pay attention to our traditions and culture, and focused on those styles of music for years. We studied music from every region of Mexico, learned how to play all these authentic instruments. So that's what we did for ten years until we decided to play rock again by bringing in drum and electric bass. "We were playing this restaurant gig for two years, and some small local clubs, playing the same songs, when people in the crowd started shouting out, 'Do you know any Beatles or Grateful Dead tunes?'" Lozano adds. "Soon we got fired from the restaurant and headed back to the garage to write our first original songs that were rock with some accordion on them: 'Let's Say Goodnight' and 'How Much Can I Do?' We made a little tape and gave it to the guys in The Blasters, which included Steve Berlin, when we went to see them live on Sunset Strip. They loved our tunes and invited us to open their show at the Whiskey-A-Go-Go, which was the first time Los Lobos performed on the other side of the Los Angeles River. We played some originals and old favorites by Hendrix, Cream, The Yardbirds and Beatles—all the stuff we loved as kids. The icing on the cake is that the audience loved it, too."